Brewster Chamber of Commerce team is made up of several business owners, so we do have some experience in that field. I say we have some experience, because we are mostly small time business owners. We don’t run large companies or anything like that. Still we like to stay informed about the latest techniques from the world of business, which is why we read books on this topic. Today we’re going to be featuring a book we’ve read and would like for the rest of the membership to get familiar with as well. Book is called Business Adventures by John Brooks. In this book, John Brooks, a contributing author at New Yorker, writes about the various failed business strategies from the world of corporate America. He performs a meticulous analysis of some of the iconic events that either left a bad mark on the company image, like the release of “Edsel” did for the Ford Motor Company. Or alternatively how some companies like Xerox managed to go from a small business to a full fledged corporation in relatively short amount of time. Through his analysis you can find a lot of insight into the world of corporate America that is still valid to this day. What you should really learn from this book are the mistake that business owners did, or didn’t do in case of Xerox. 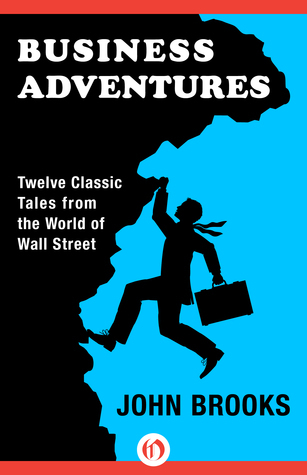 Both me and my friend Carol have read this book and we all agree that reading Business Adventures is a must for any would be business owner. You’ll learn quite a lot and who knows, maybe it even helps you avoid some of the mistakes that business mentioned in the book did. Let us know if you read the book and what you thought of it.